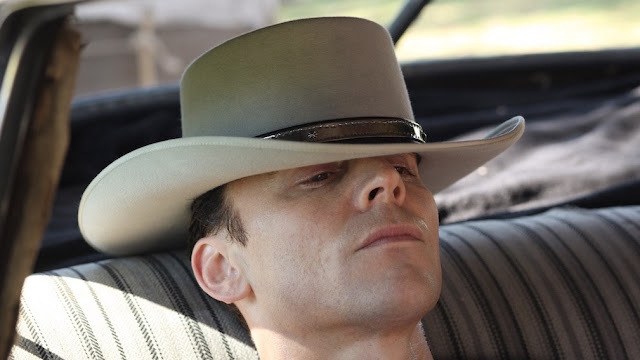 VIFF 2015—I Saw the Light is both, at various times, a sparkling musical biopic of American country and gospel singer/songwriter Hank Williams starring Tom Hiddleston and a frustrating journey into his short life and descent into addiction. The biographical film also suffers from many of the hallmarks and expected beats of any famous musician's life while breaking away from the genre's more structured conventional narrative devices. Producer turned writer/director Marc Abraham shows his limitations in crafting the real-life story while getting some fairly captivating performances from Hiddleston as Williams and Elizabeth Olsen as his combative first wife, Audrey. The pair have excellent chemistry and instincts putting together as much fully formed portraits as the film allows. Olsen, in particular, gives Audrey a fiery temperament in the face of their tumultuous relationship and is never relegated to our expectations of the long suffering, secondary wife role while set in the 1940s. While the editing and scripting fall flat as the film quickly moves through William's quick rise to stardom focusing on his marriage and life from ages 23 to 29, the music, acting, and often direction show what could have been. Plot lines and moments in time are scurried together before being quickly abandoned as William's alcoholism, chronic pain, womanizing, and many demons in general are constantly reiterated or rushed without much in the way of greater depth or insight. Not doing itself any favours, the film starts with and periodically shifts to documentary style talking head interviews featuring mostly Bradley Whitford—who plays his co-songwriter, Fred Rose, but confusingly acts much more like his manager—expositing footnotes in his notable life. It makes for a mixture of painfully episodic scenes contrasted with more artistic flourishes where characters just appear unmotivated to show glimpses into William's troubled but storied career. Anchored by a healthy degree of talent, I Saw the Light is ultimately sunk by inconsistencies in its story and an unnecessary need to constantly hammer down William's many afflictions from women to substance abuse. The great music and live singing from Hiddleston and company occasionally save parts of the film. It's too bad its lengthy over scripting and unfocused narrative never live up to all the charm and despair the cast is able to capture and express through song. I Saw the Light screened at the closing gala of the 2015 Vancouver International Film Festival.